This time last year, I wrote about Chris Street’s work in exposing the huge animal giant earthworks that surround London, the Lion and the Unicorn. I concentrated on the solar Lion because the land which he stands guardian over was where the Olympics were about to take place, and the river named after him runs into the Olympic Park. (For more on that, see The Enchantment of the Olympics). Now that Bilderberg is well upon us, I want to concentrate on the Unicorn, because this is the other side of the enchantment; the yin to the yang. As we now go into the three days of the dark moon, it appears that the influence of the moon goddess is being petitioned and employed to protect the site of the Bilderberg conference. Of course, we’ve already noticed that where the conference is taking place, the Grove Hotel, could possibly be named as such after the groves of the Druids, especially as we know the globalist occultists that plan and design these events like to meet at Bohemian Grove in California. But there’s much more to it than that. Where they are in Watford, north-west of London, they are meeting on what they consider to be sacred, enchanted ground, as most likely did the Druids before them. This is an extract from an article by Chris Street called The Guardians of the Sacred City which is in Anthony Thorley’s book, Legendary London. 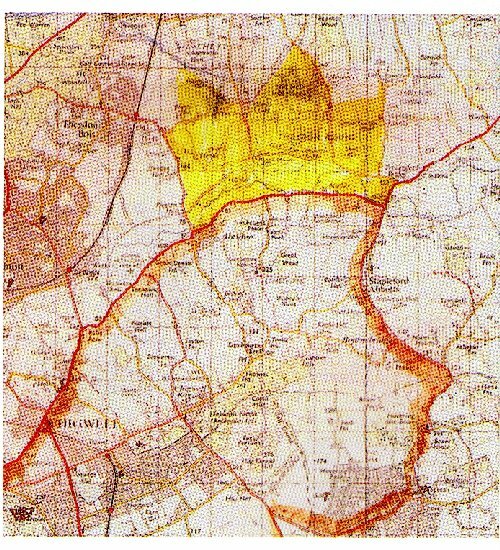 Like the Lion, the Unicorn has an outline defined by a combination of roads, pathways and rivers, The horse-like back and mane is defined by the A410 Uxbridge Road, and the rear end by the parts of the A1 and A41. It’s especially worth noting that the tip of the short horn is a place actually called Horn Hill, near Maple Cross, and there is a small, pleasant Victorian chapel dedicated to St Paul. The head of the unicorn is defined by the rivers of the area, principally, the Colne and the Ver. In mythology, the Unicorn has a special relationship with the virgin moon goddess. One legend states that the unicorn rests it head on the lap of the goddess, and so on the London landscape it actually does. The head of the Unicorn rests upon the course of several rivers with distinct goddess associations. To our remote ancestors, all rivers were perceived to be living entities inhabited by deific spirits, mostly feminine river goddesses. Sabrina, for example, was goddess of the Severn. The Ver takes its name from a little known ancient British goddess. It is believed that her name relates to the old Welsh word, fair (there is no ‘v’ in old Welsh), which today means Mary. Llanfair, for example, means sacred place of Mary. So it appears that the Virgin Mary and the goddess Ver are connected. Like the sacred waters rising in the shadow of Glastonbury Tor, the River Ver has a red spring and a white spring, which rises at Redbourne and Markyate respectively. The Ver runs into the Colne north of Watford and stretches along the entire west side of London through Rickmansworth, Uxbridge, Denham and finally into the Thames at Staines. 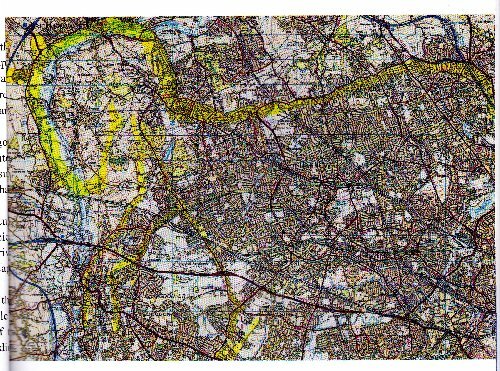 So the whole of London is enclosed by sacred rivers. On the north, north-east and east, the river (Lea) is of the sun god Lugh, the Lion. On the north-west and west are the goddess rivers of the Unicorn. Of course, they both join the Thames which carries both polarities, since on old maps it is shown as Thames-Isis or Tamesis. This name reflects the principal god and goddess, Tammuz and Ishtar (Isis) of those inveterate mariners, the Phoenicians, who were known to have travelled these islands. 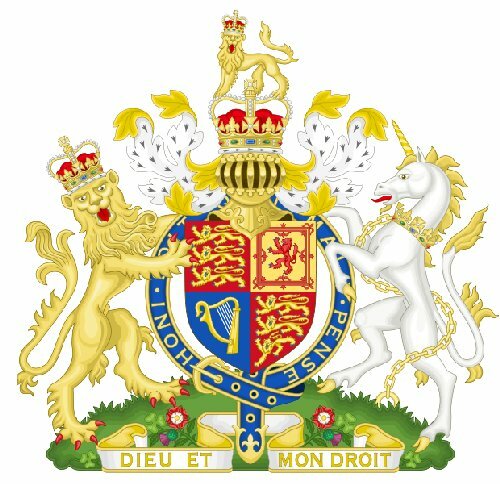 The Lion and the Unicorn stand either side of London as they do on the Royal Coat of Arms. 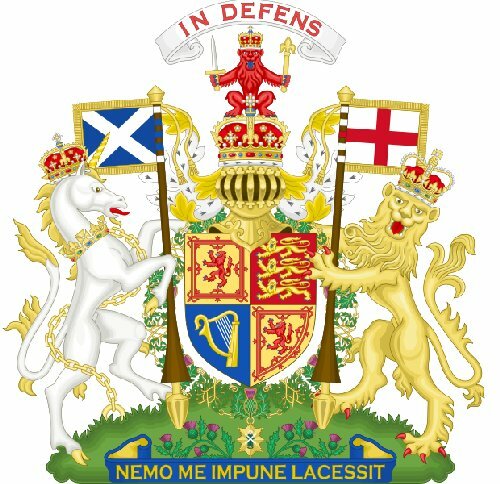 Interestingly, though, the only time that they appear the right way round is when the Coat of Arms is shown in Scotland. I expect the Scottish Rite laddies see to that! Has the Church of England finally lost the plot?